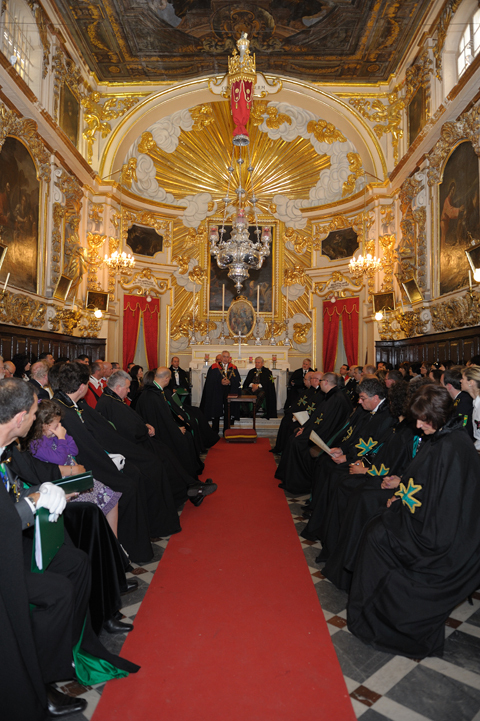 The Hospitaller Order of Saint Lazarus of Jerusalem is the modern day embodiment of a distinguished past which will go down in history for all ages. The spirit of that work many centuries ago can still be seen in the modern efforts of the order today. If you feel the desire to contribute to a worthy cause that helps some of the most needy individuals on this planet and you are looking for an organization to be part of that is about more than giving money, then this organization and foundation may be for you. Each year, thousands of people are directly assisted by the positive efforts of the members of the Order of Saint Lazarus. This organization is about more than charity. The order is a network of established individuals from all professions who enjoy the camaraderie, the sharing of ideas, and the spirit that a strong organization as a whole is greater than the sum of its parts. The charitable work is being performed under the banner of one of the most interesting, historical and proud organizations of the past thousand years. Not everyone will become a Knight in this organization. You should not join this organization for a noble title. You should however, join this organization if you want to make a positive impact on people's lives, including your own. We invite you to apply to this organization so that we may explore how we can work together for an excellent and noble cause. 1. Be part of a chivalric organization that is rich in history and tradition. 2. Members can participate from anywhere in the world by joining either one of the geographically based independent Grand Priories or the Grand Priory of International Lazarites. 3. Postulants admitted receive a certificate in traditional Order colours, insignia appropriate to the member’s rank, and brevet. You will be contacted within a short period with a confirmation of receipt of the application form and a projected date of the next Order meeting to decide on your membership acceptance. We hold meetings of this nature approximately quarterly. The Order of Saint Lazarus is a constantly and healthily developing international Lazarite confraternity with growth being registered in various jurisdictions around the world. Keeping a functioning structure within a global organisation of more than 14,000 members worldwide necessitates the choice of dedicated men and women who are to be the founding pillars of Lazarite activity in the region in question. In order to address this situation, in September 2013, the Supreme Grand Priory authorised Dame Liane Queiroz, one of the appointed aide de camps in the office of the Grand Chancellor, to submit to our jurisdictions a short manual underlining the salient points needed in order to ensure proper development and guidelines within our Grand Priories. Please use this link to access the document described above.